Sanya has seen a spring outing surge while northern China is still shrouded with continuous rain. 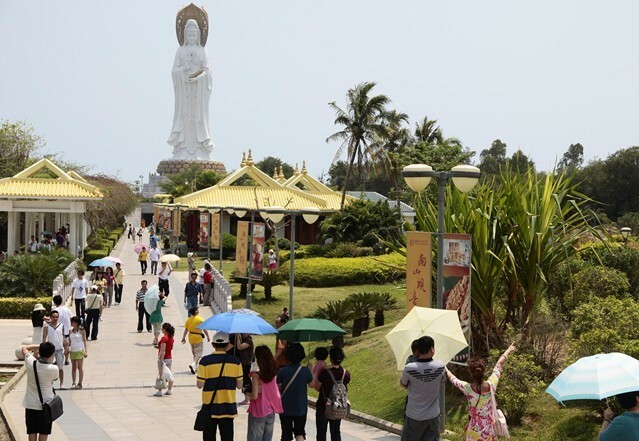 The warm weather of March makes Sanya a hot spring outing destination for most group tourists. A reporter learned from the Nanshan Cultural Tourism Zone that the number of tourists hits 17,000 everyday, up 20% year on year. The number of group tourists grows dramatically than that during the Chinese New Year. Many tourists claim they are attracted by the comfortable temperature and the blue sky and blue sea which are rare in northern China. The number of tourists increases by 40% year on year in Yalong Bay Tropical Forrest Paradise, according to the person in charge. Most of them are group tourists which take up 60% of the total tourists’ number. What’s more, scenic spots like Tianya Haijiao, Wuzhizhou Island and West Island also see tourists’ growth year on year. At the same time, hotels in Sanya have received many family tourists due to the spring outing surge. The occupancy rate of hotels in Yalong Bay has reached 95% in March.